The closures are part of a longstanding initiative to refresh the mix of restaurants and shops in the airport. 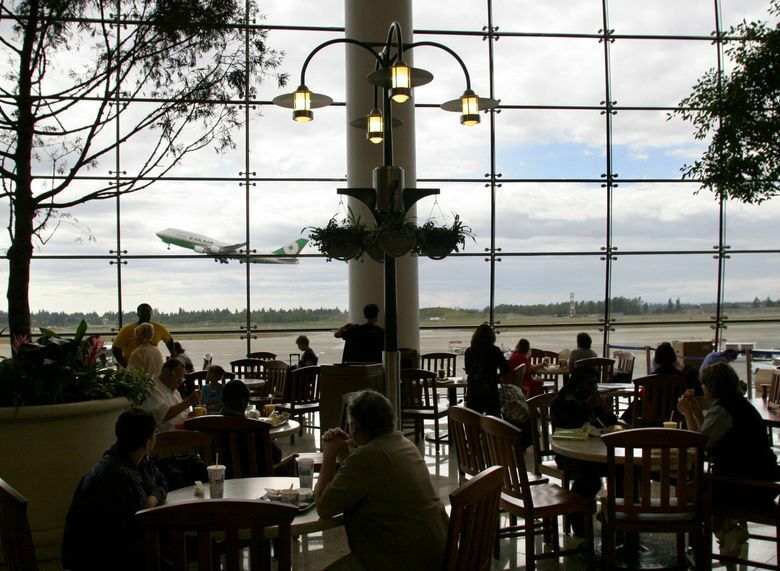 Travelers accustomed to preflight noshing at Anthony’s Restaurant at Seattle-Tacoma International Airport will need to find a new place to cool their jets. Officials with HMHost Seattle, which manages the Anthony’s location, recently informed employees that the 14-year-old establishment would serve its last meal on March 31. “It’s like closing a landmark,” said one upset airport employee, who asked not to be identified. Anthony’s is one of several dozen restaurants and shops that failed to win new leases from the Port of Seattle, which is amid a years-long multimillion-dollar renovation of the airport. Port spokesman Perry Cooper said the current round of closures would likely continue for several months and, according to a report filed with the state by HMHost, could affect at least 202 workers. The closures are part of a longstanding initiative to refresh the mix of restaurants and shops in the airport — with the Port putting a premium on businesses that are small or offer new concepts and local themes. The effort began in 2005, when the Port shifted from a single food-service provider to multiple providers. Concessionaires such as HMHost partnered with outside establishments to bid on 10-year leases for coveted slots in the terminal, which saw more than 49.8 million visitors last year, the eighth busiest airport in the country, Cooper said. When the leases expired, the Port required concessionaires to submit new bids in what turned out to be an extremely competitive process. In the latest round of bids, Cooper said, the Port received 58 proposals for just 21 slots — and even popular leaseholders lost out. Other losers include Wolfgang Puck Express, Vintage Washington Wine Bar, Seattle Taproom, Affordable Luxuries, The Coffee Bean & Tea Leaf, Seattle Seahawks 12 Club, Burger King, one Starbucks location, Great American Bagel Bakery, Vino Volo, Sbarro, Hudson Booksellers, and Sports Page Pub, Cooper said. Despite the wave of closures, which will include perhaps two dozen more by the end of the year, the airport will see a net gain of 50 new businesses by 2025. Among the newcomers, Sunset Fried Chicken, Evergreens and Skillet. Because the Port requires incoming businesses to hire from the existing labor pool — and because current employees are highly prized for their experience and security clearances — Cooper said many laid-off employees should find work with incoming businesses. Correction: The minimum wage at Sea-Tac is $16.09 per hour, not $15 per hour as reported in an earlier version of this story.